The City of Issaquah recently selected David Vandervort Architects for their net zero energy home demonstration project in Issaquah Highlands. Noland Homes plans to begin construction in Summer 2008. The goal for these homes is that over the course of a year, their net energy use will be zero. The expectation is that energy consumption during the cooler periods of the year will be offset by excess energy produced by photovoltaic panels during sunny months. 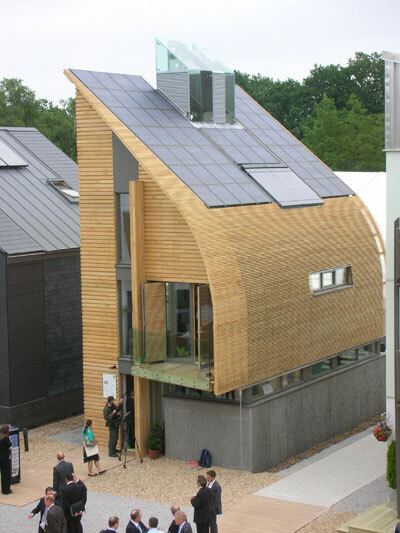 As awareness of energy and global warming grows, net-zero energy is certain to become an increasingly common goal. It is surprising, given the City of Seattle’s focus on green building, that Issaquah has gotten the jump on the region’s first net-zero project. Word on the street is that Seattle will launch a net-zero project in the near future. Posted by dan bertolet on	Monday, December 31st, 2007 at 11:27 am. You can follow any responses to this entry through the RSS 2.0 feed. You can leave a response, or trackback from your own site. like a good way to start my own renewable energy system at home.